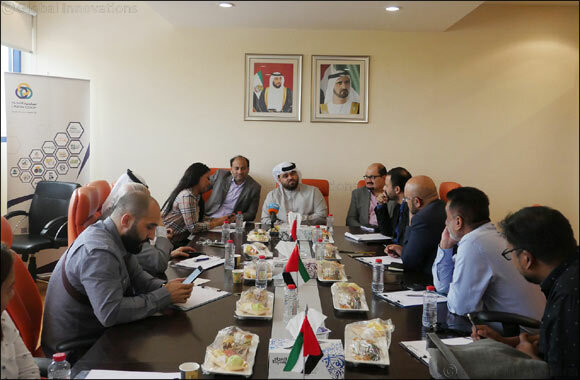 Dubai, UAE, November 25, 2018: In line with UAE’s 47th National Day Celebration, Union Coop – the largest consumer cooperative in the UAE, has unveiled a AED 55 Million budget towards the reduction of commodity prices, as well as offering valuable prizes and discounts to consumers during the promotion, which will start from November 27nd till January 12th 2019 across its branches. This promotion was announced during a press conference held at Union Coop head office in Dubai, in the presence of H.E. Khalid Humaid Bin Diban Al Falasi, CEO of Union Coop, accompanied by Mr. Majiruddin Khan, Asst. Director of Trading Division and Mr. Imad Rashid, acting Director of Happiness & Marketing Department. On this occasion, Khalid Humaid Bin Diban Al Falasi extended his sincere wishes to the wise leadership of H.H. Sheikh Khalifa bin Zayed Al Nahyan the President of the UAE, H.H. Sheikh Mohammed bin Rashid Al Maktoum, the Vice President and Prime Minister of the UAE, and ruler of Dubai, and H.H. Sheikh Mohamed bin Zayed Al Nahyan, Crown Prince of Abu Dhabi and Deputy Supreme Commander of the UAE Armed Forces, and Citizens as well as residents on the occasion of 47th UAE National Day. In line with the unique promotions, Union Coop will also organize ‘Spin & Win’ activity twice a week, wherein lucky customers get to win exciting prizes. During this campaign, Mr. Khalid Humaid Bin Diban Al Falasi expects a massive sale with 3 million customers visiting the Union Coop branches across Dubai. In order to provide a comfortable shopping experience to the customers, Union Coop has equipped 3 branches to operate 24 hours, 7 days a week. He further points out that the campaign includes the reduction of prices of 30, 000 items with discounts ranging from 30 to 75 percent, along with other discounts on many products and commodities in both Etihad Mall and Al Barsha Mall. This comes within Union Coop’s framework of working together with the wise government to delight the members of the society.